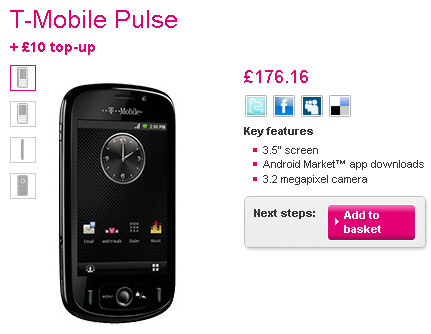 T-Mobile UK has taken the Android love to the contract-deficient masses. The Huawei manufactured Pulse sports a 3.5″ touchscreen, 3G, WiFi, GPS, 3.2 megapixel camera, and 2G of memory — not bad for a prepaid ditty. The Pulse will set you back 176 quid across the pond, that’s about $292 for those of us still using the imperial system of measurement, and is on sale today. We love the idea of a fully featured handset on a pre-paid platform — we’re hoping the trend catches on.